# This is a “self-help” group. It has a leader for administrative purposes only. There is no teaching; individual members help each other. 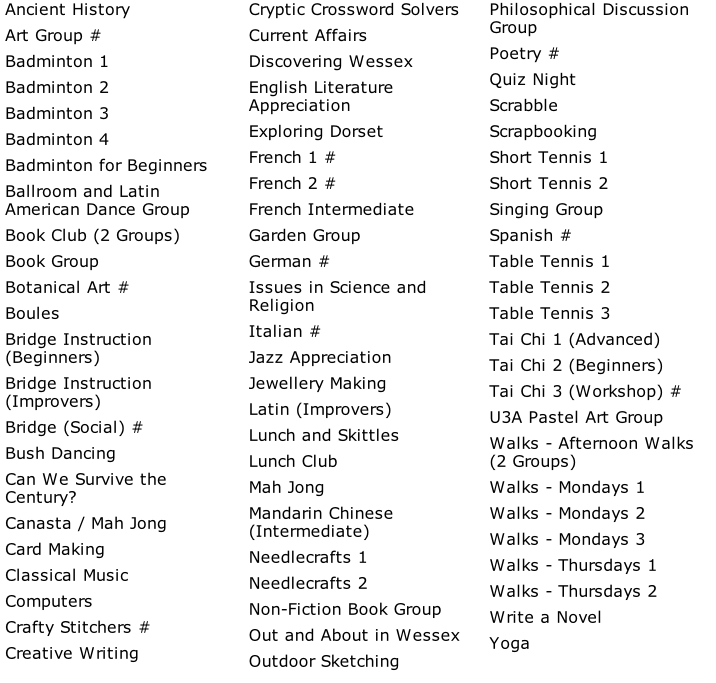 Choose a name below to view more information about a Group or Social Activity. Some of our Groups are full and have waiting lists; others have vacancies. To find out more about an individual Group, use the [Contact the Leader] option on the Group page, or for general information, use the [Contact us] link above.